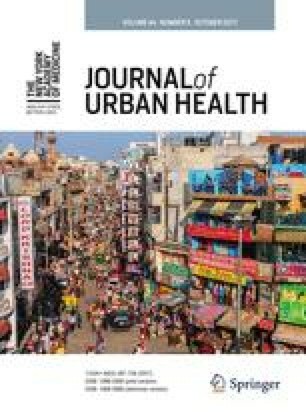 In southern European cities, research on deprivation and mortality inequalities using small-area analysis is recent. In many countries, the census tract (CT) is the smallest territorial unit for which population data are available. The aim of this study was to examine the association between mortality from all causes and socioeconomic deprivation in CTs in Barcelona (Spain). A cross-sectional ecologic study was carried out using mortality data for 1987–1995 and 1991 census variables. Mortality data were obtained from death certificates. Socioeconomic deprivation indicators were drawn from the census and included unemployment, inadequate education, and low social class. They were correlated, and a deprivation index was elaborated with them. The analysis was descriptive, and multivariate Poisson regression models were adjusted. The most deprived CTs tend to present higher mortality (49.7% of CT in the quartile associated with greatest deprivation were included in the top male mortality quartile and 40.4% in the top female mortality quartile), whereas the less deprived ones present lower mortality. For male mortality, the risk of dying among those in the quartile representing most deprivation is from 25 to 29% higher (depending on the indicator chosen) than the least deprived quartile, and for women, it is from 12 to 14% higher. We concluded that the mortality from all causes in the CT of a southern European city has shown a clear positive association with a variety of socioeconomic deprivation indicators drawn from the census. Studies of this nature may help to orient more specific studies in which CTs are grouped together as a function of particular population and/or health characteristics.